A Summer that allows your resume to shine! 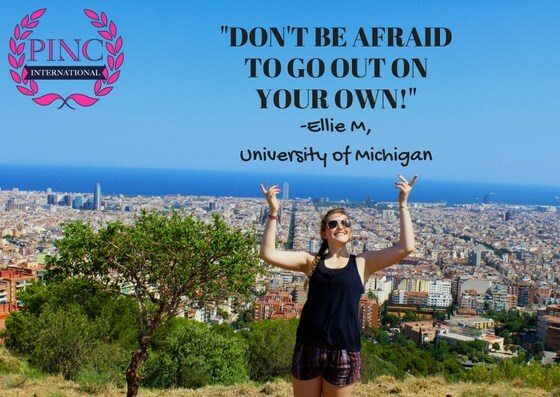 PINC is designed exclusively for fearless female students looking to make memories while boosting their resume. Going abroad sets your resume apart by adding unique transferable skills like; adaptability, intercultural communication, political awareness, independence, patience, language and more. Live abroad, practice Spanish, network with professionals, build hard and soft skill sets and experience Spain like a local. Throughout our programs, PINC students grow from American ambassadors to global citizens as they immerse in a new culture abroad. After PINC, students return home with a competitive edge on their resumes, confidence in interviews and a network of strong, professional women for life. PINC believes that empowering and educating young women on an international level is the key to bridging the gender gap and building innovative leaders of the future! > Traveling like a global citizen? > Kickstarting your #GirlBoss future?